Choice Appraisal Services, LLC is a leading provider of real estate appraisals for REO foreclosures and short sales. Our Company appraises real estate throughout the greater CITY County area. We provide high quality appraisals with detailed opinions of fair market value for mortgage banks, and mortgage servicing clients as well as “quick sale” forecasts that consider your specific timeline. 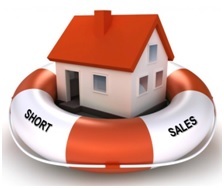 Our foreclosure and short sale appraisal services cater to the needs of homeowners in default, banks with real estate owned properties (REOs), mortgage lenders, HUD, FHA, law firms, loan service companies and other financial institutions that make personal and commercial loans. For commercial real estate in foreclosure and bank owned real estate (REOs), owners and banks alike need to know the difference between “fair market” value and “quick disposition” value in order to determine the potential equity position or charge-off liability. Regardless of whether the real property is residential or commercial the fair market value in an ever changing market is crucial to reducing non- performing inventory of REO real estate. Owners of real estate which are in foreclosure are faced with many challenges. Some are unwilling to allow an inspection of the property or if they’ve already abandoned the property, they may have neglected care of the home for a period of time, or even purposely caused damage. We have both the knowledge and experience to deal with the specific aspects of foreclosures and short sales, which is why you can rely on our reports to minimize your losses.